Save $7 each month by reserving online today + 50% OFF 1st Month! Confirm Your Free Reservation. No credit card or deposit required. *Need it at a later date? Call us at (352) 269-6988. *Pricing and promotion information does not include insurance or taxes. 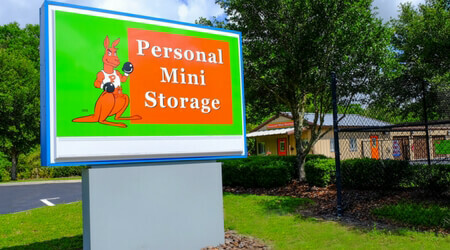 Gainesville Self Storage is a premier self storage operator in North Florida. Gainesville Self Storage offers storage units of all sizes with attractive features such as climate control, RV parking spaces, gated entry, and month-to-month leases. Like us on Facebook for great storage deals plus packing and moving tips. Follow us on Twitter and know what's going on at your location.